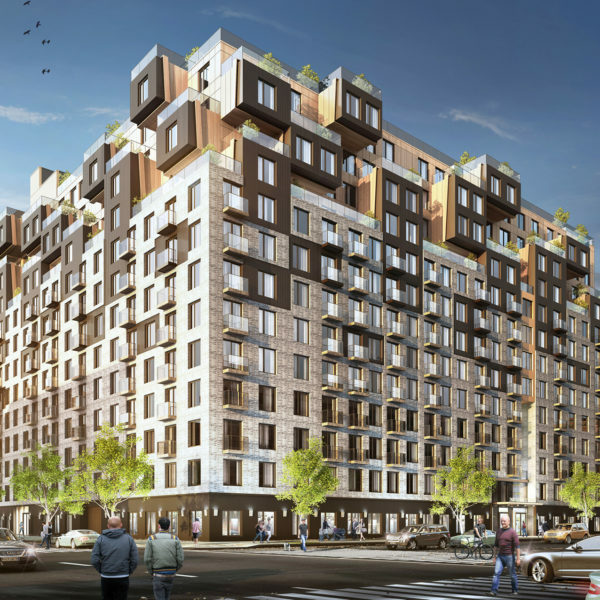 Designing Linden Boulevard Tower, JFAexplored how the building would take shape in multiple scales starting at the scale of the individual residential unit and user, expanding that scale to neighbors, the borough of Brooklyn, and NYC at large. The building facade was pushed and pulled to frame those views and emphasize the variety of scales. 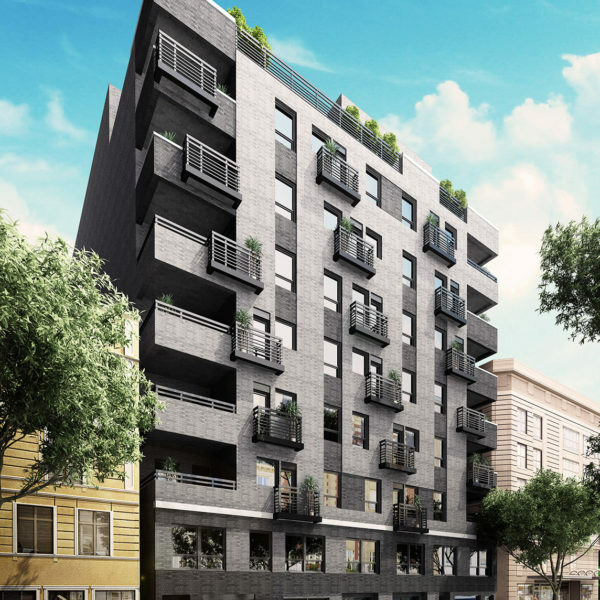 100 Lenox Road is an 8-story condominium project located steps away from Prospect Park’s Southwest corner. 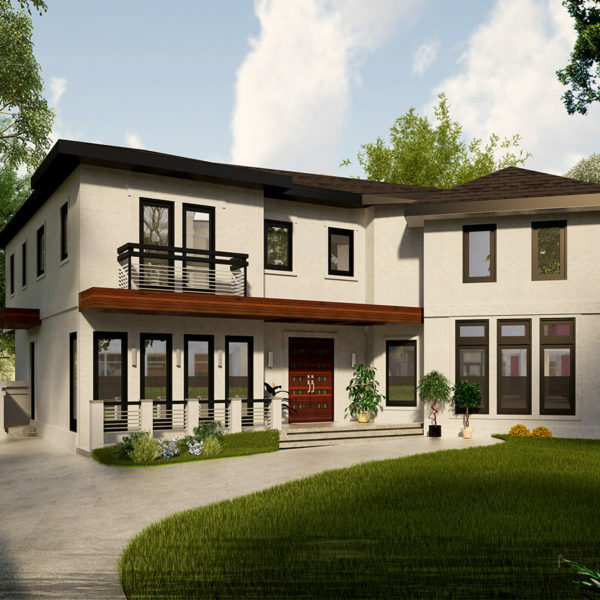 The facade blends historic materials with modern accents. 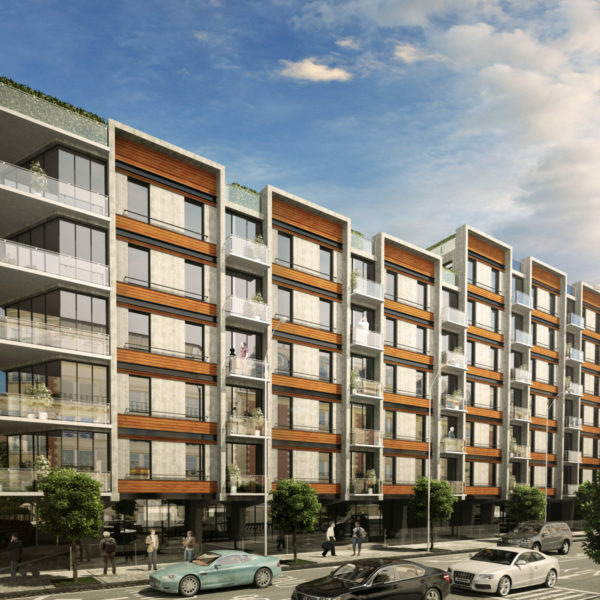 These expansive units have carefully crafted open plans and feature individual balconies, private yards, and even private rooftops. 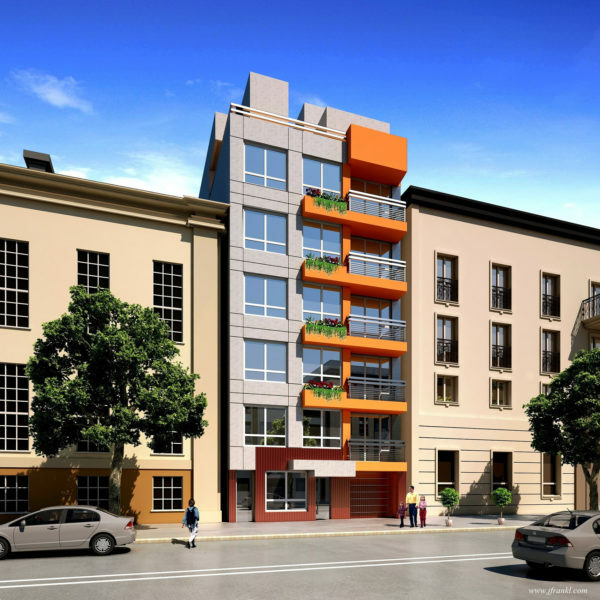 Comprised of 3 separate residential buildings the Starr St development has a collective total of 24 dwelling units and community spaces across 4 stories. 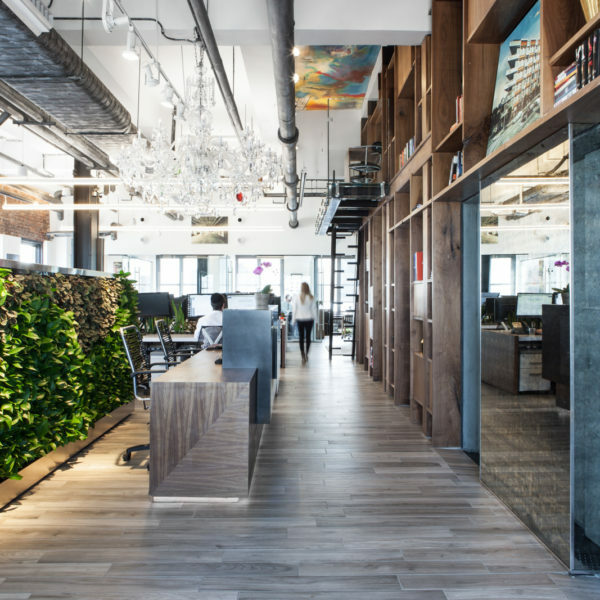 Designed to act seamlessly as one building, the project strives to create a sense of harmony whilst retaining the dynamic nature of a multi-use building. The facade engages this idea in its balance of repetition and multi-directionality. 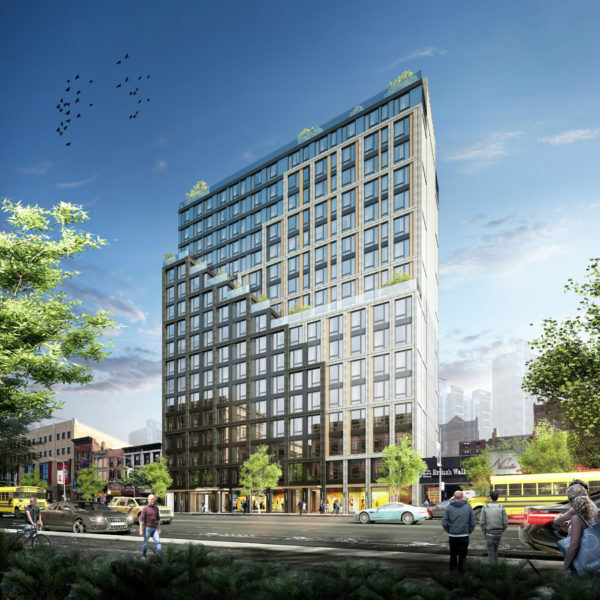 A new 9 story + cellar and mezzanine mixed use building with a total gross area of approx. 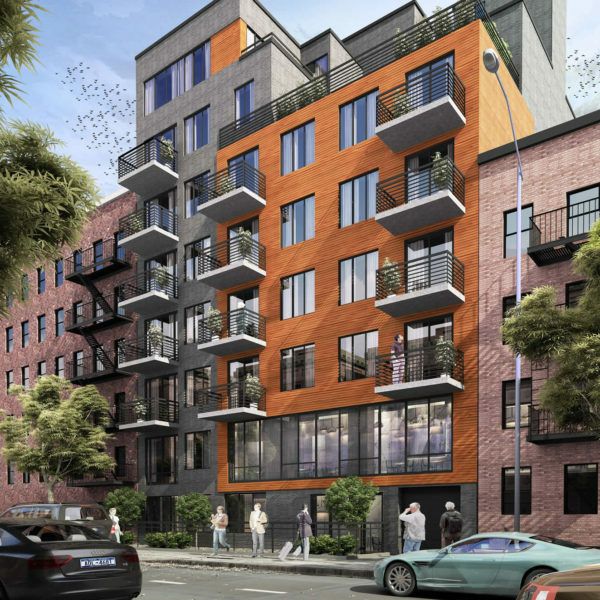 145,000 SF, based on the current M1-5/R7-3 zoning district. 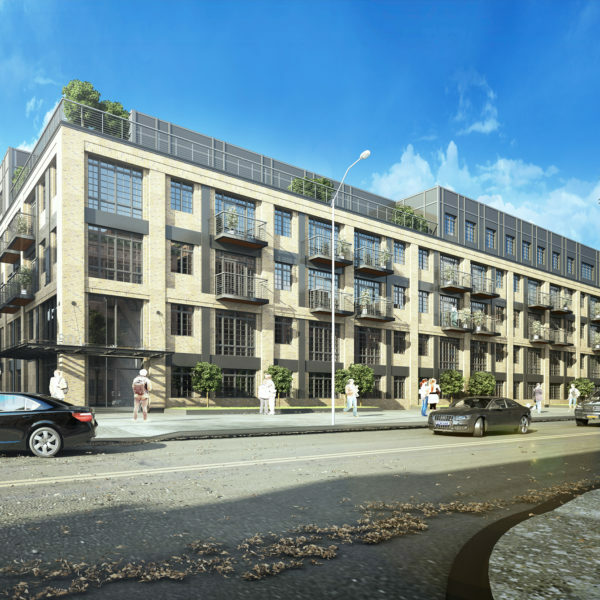 The building will include commercial space in the cellar and house 158 residential dwelling units above. Amenities such as bicycle parking, lounge, laundry room, kids play room, gym, game room and roof terrace will also be provided. 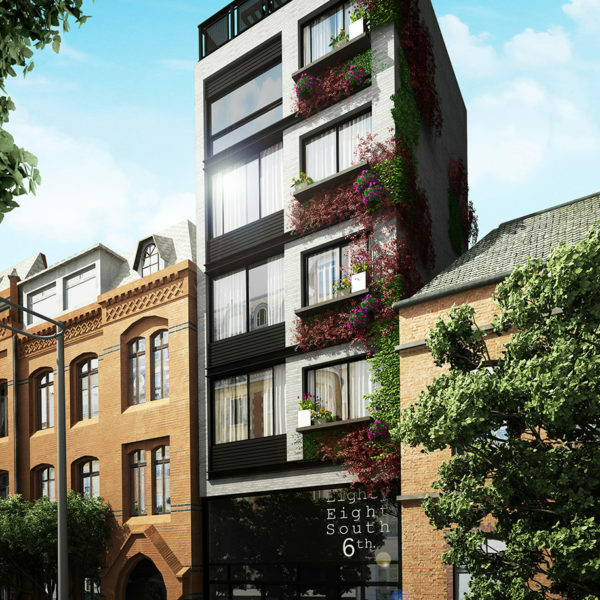 A new 5 story + Cellar residential building with a total gross area of approx. 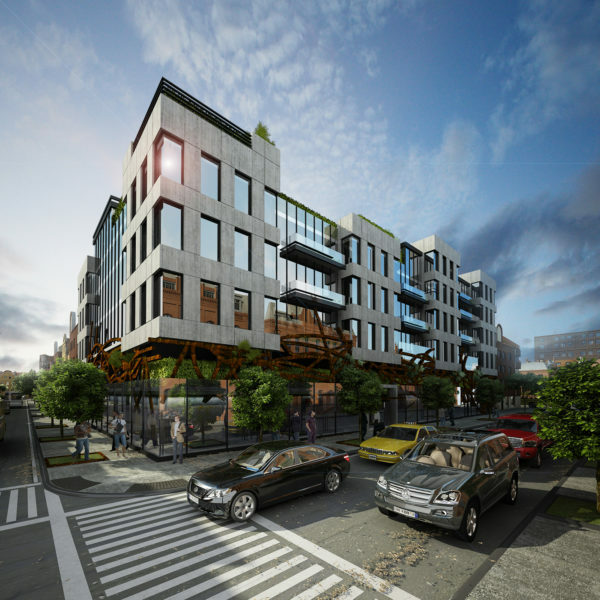 23,700 SF, based on the current R6 (Quality Housing) zoning district which permits a max FAR of 2.20. 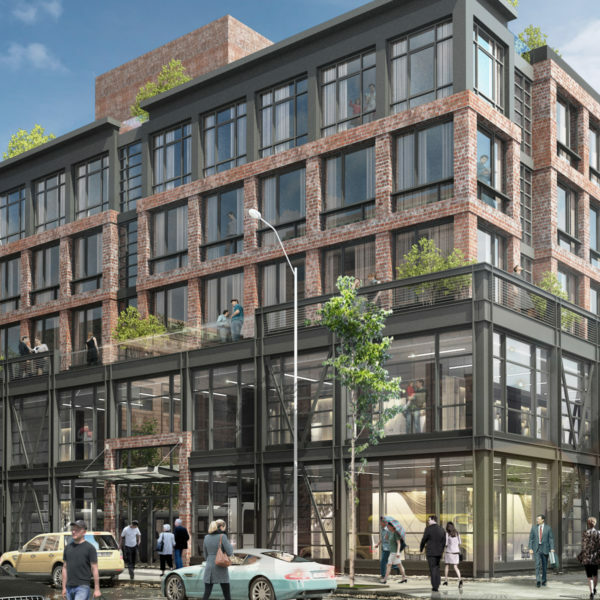 The building houses24 residential dwelling units and accessory spaces that include bicycle parking in the cellar, automobile parking in the rear yard and a recreational space on the 5th floor. 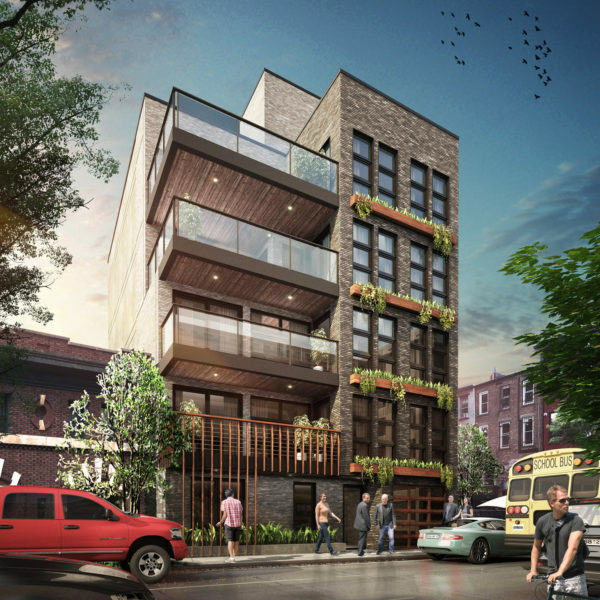 Located in Bushwick, the Ralph Avenue development comprises of 6 stories, featuring approximately 60 contemporary residential units. 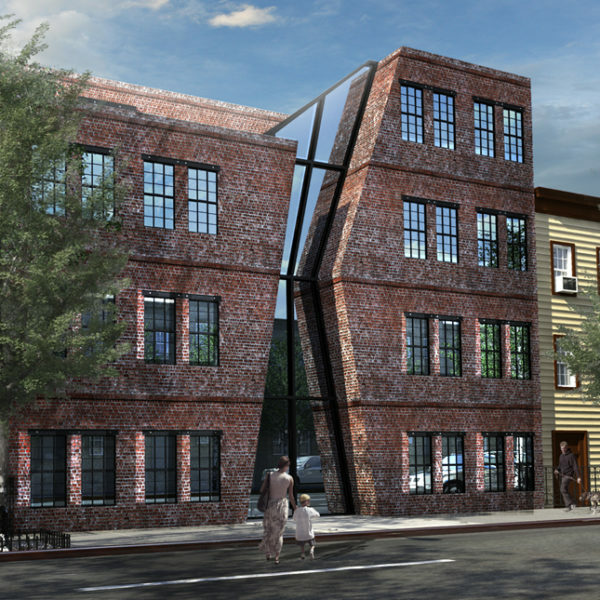 The building’s composition of brick and metal paneling pays homage to the area’s industrial past; however, the clean lines and asymmetric ratios bring a level of refinement signifying a definite transformation in this part of Brooklyn. 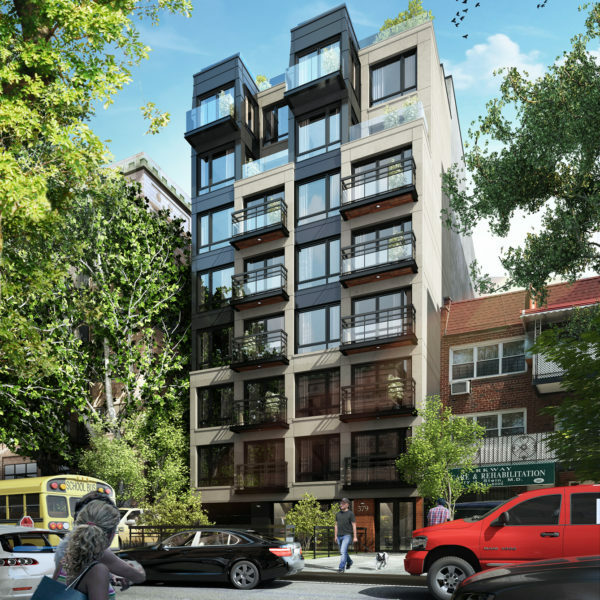 Built as an infill between two larger buildings on a 650-square-foot lot, this building is a model of high-density residential urban environment. 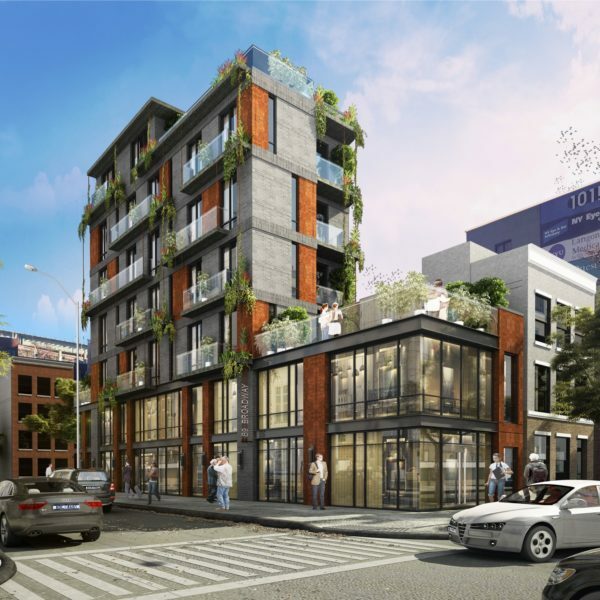 The project is a four-story mixed-use building to house retail spaces as well as 2 residential dwelling units. A key feature of this design lies within its creative use of space understanding three dimensionality as a crucial factor in maximizing use in a small space through the mezzanine addition and focus on vertical circulation. 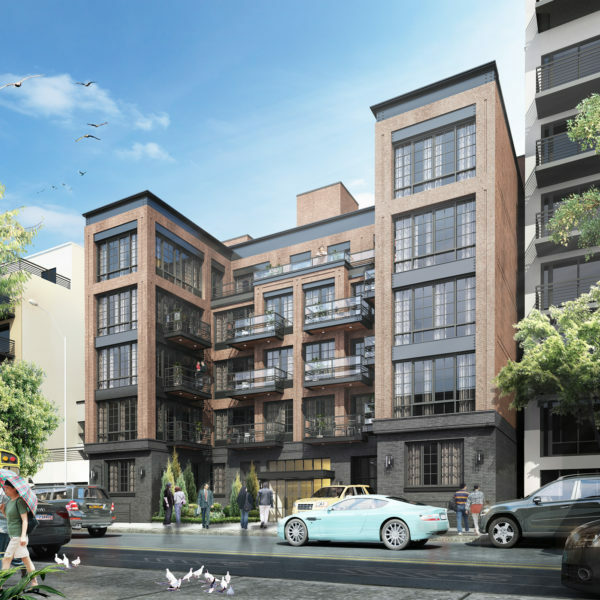 200 Parkville Avenue is a seven-story single-family residence that will measure 9,980 square feet, standing 80 feet to the roof, and will feature five parking spaces for automobiles in the cellar. This property houses over 40 guest rooms as well as various facilities catering to the surrounding community. Its symmetric floor plan is designed for a transient audience, ensuring a level of consistency in each guest experience. 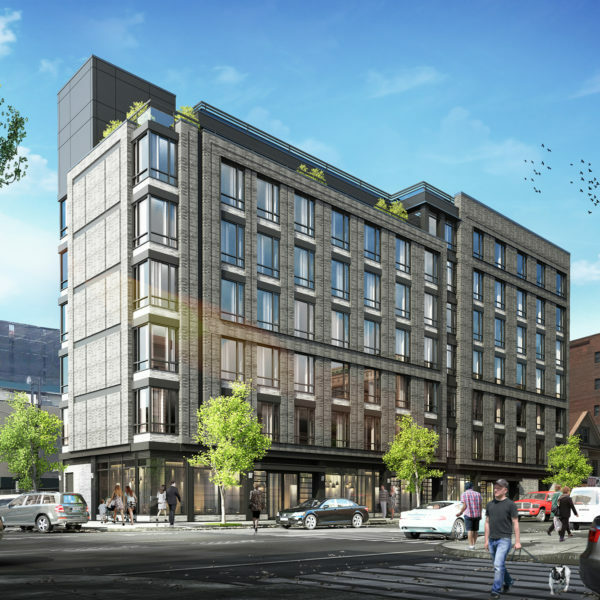 A new 8 story + cellar mixed use building with a total gross area of approx. 26,000 SF, based on the current R7-2 zoning district. The building includes a community facility in the cellar and first floor and house 27 residential dwelling units above. 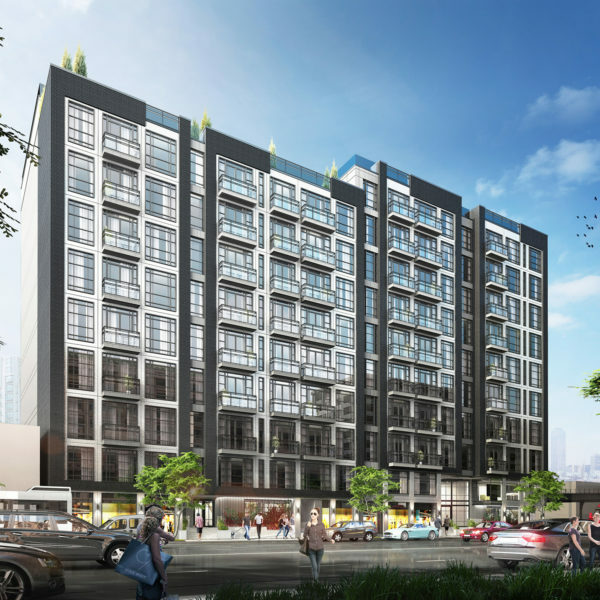 Amenities such as bicycle parking, in-unit laundry, gym and roof terrace are also provided. 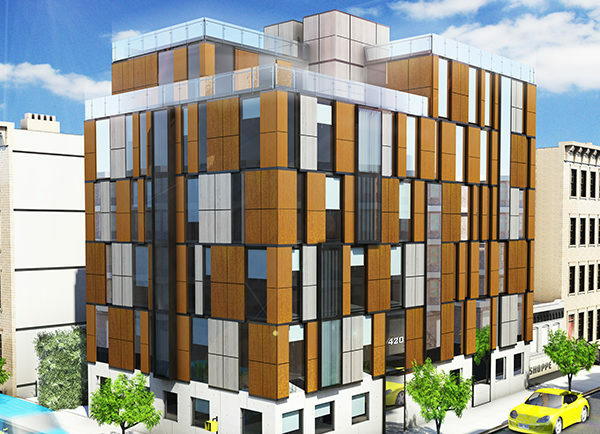 A new 6 story commercial building with a total gross area of approx. 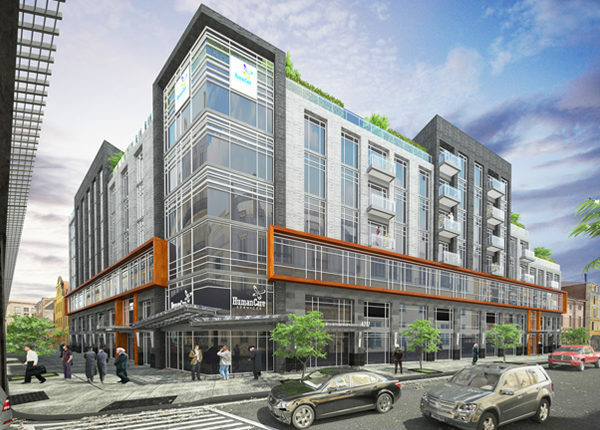 67,953 SF, based on the current M1-2 zoning district. 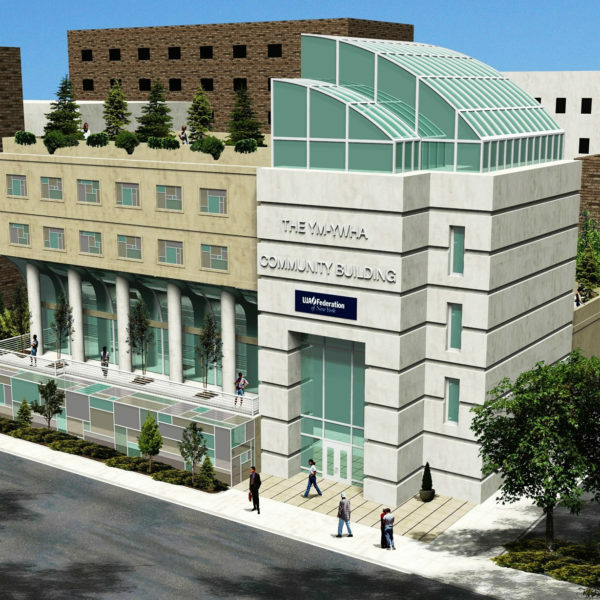 The building dedicates 1 floor to a community facility and the remaining 4 floors to office space. 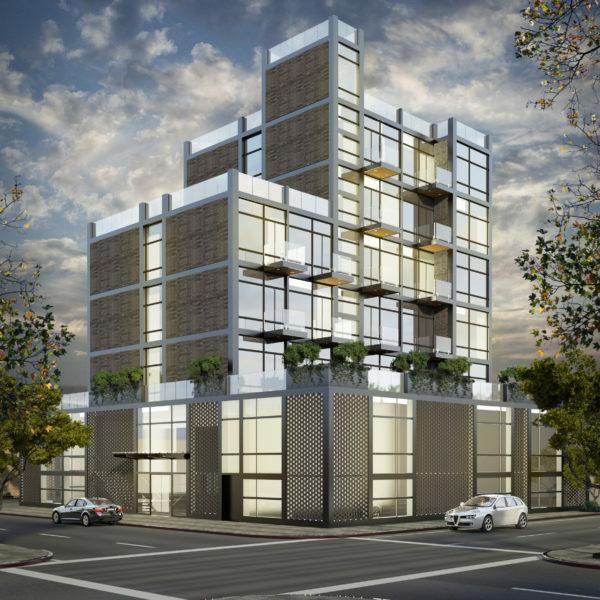 A new 5 story residential building with a total gross area of approx. 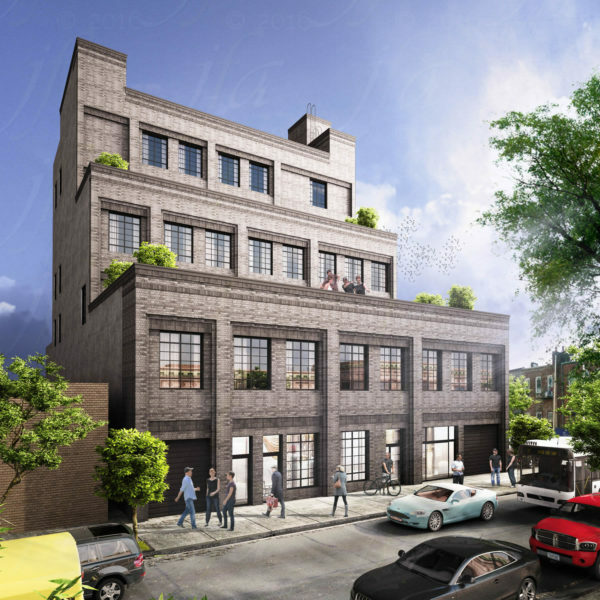 10,300 SF, based on the current R6B zoning district. 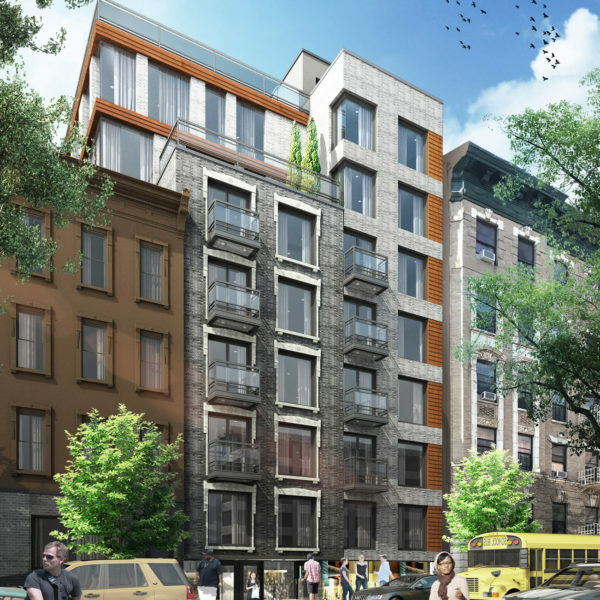 The building will house 5 residential dwelling units. 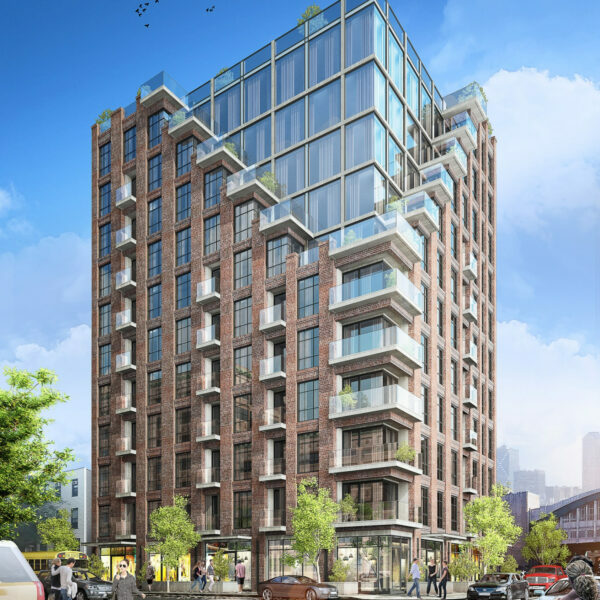 A new 5 story + cellar mixed-use residential building with a community facility.The building has a total gross area of approx. 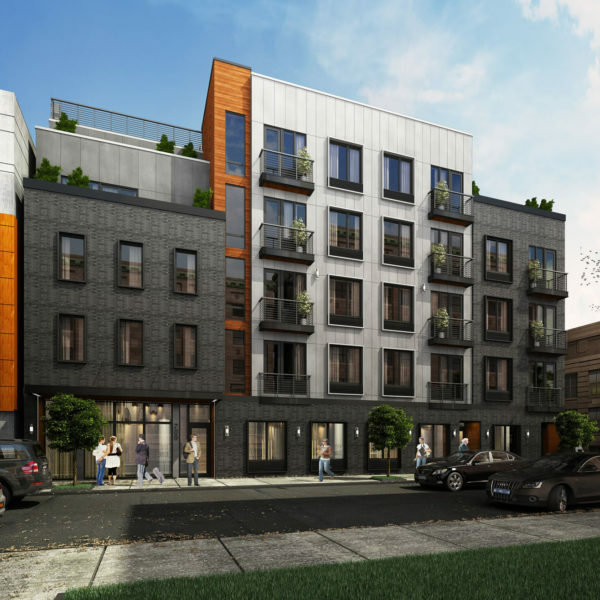 36,000 SF and is based on the current R6 (Quality Housing) zoning district which permits a max FAR of 2.20 for residential and max FAR of 1.0 for commercial. 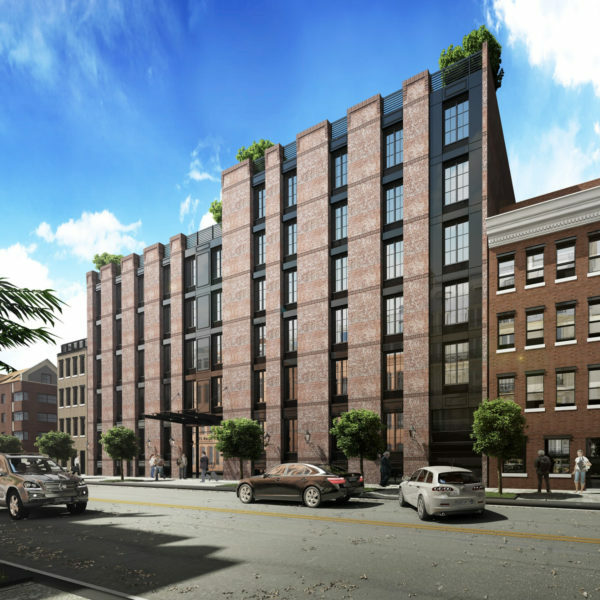 Housing 32 dwelling units, the building will also feature recreational space and bicycle parking in the cellar, automobile parking in the rear yard and outdoor recreation space at the 5th floor. 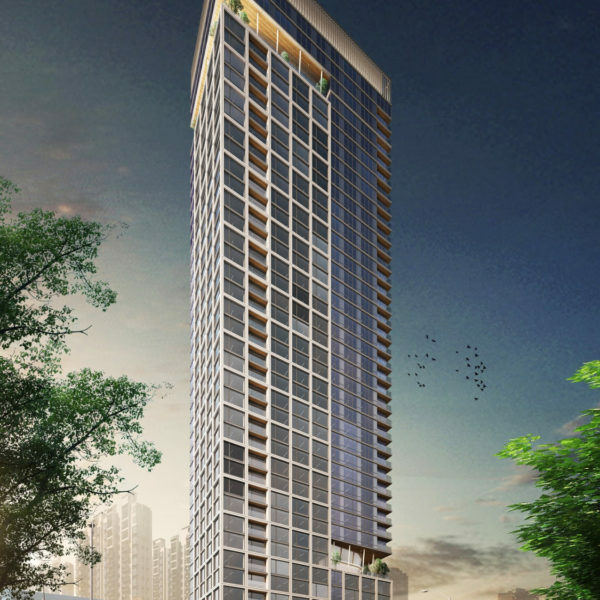 A new 8 story residential building with a total gross area of approx. 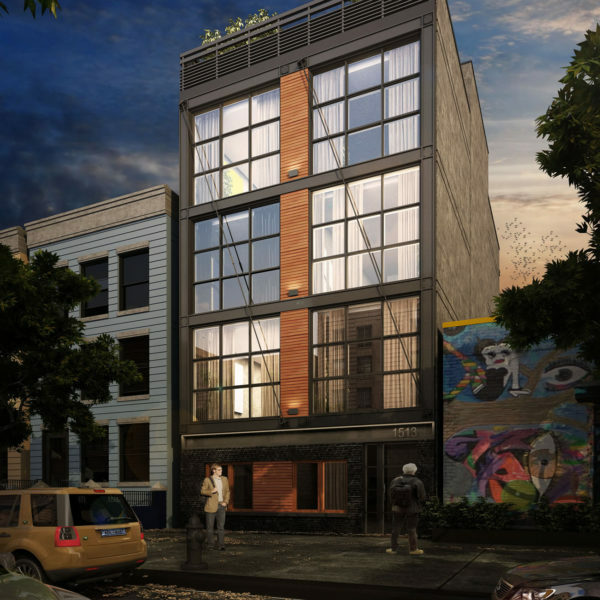 36,365 SF, based on the current R7A/R5 zoning district. The buildinghouses24 residential dwelling units on the 2nd through 8th floors with various private and public roof terraces. 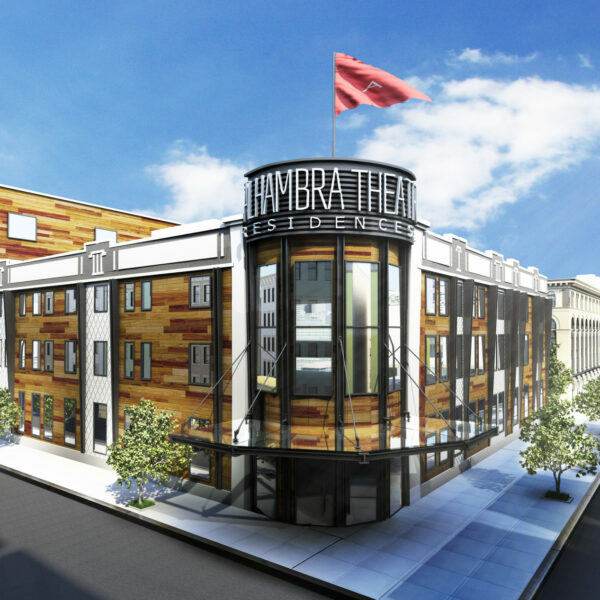 This building will also include a recreation room on the 1st floor with a parking garage on the first and cellar levels. 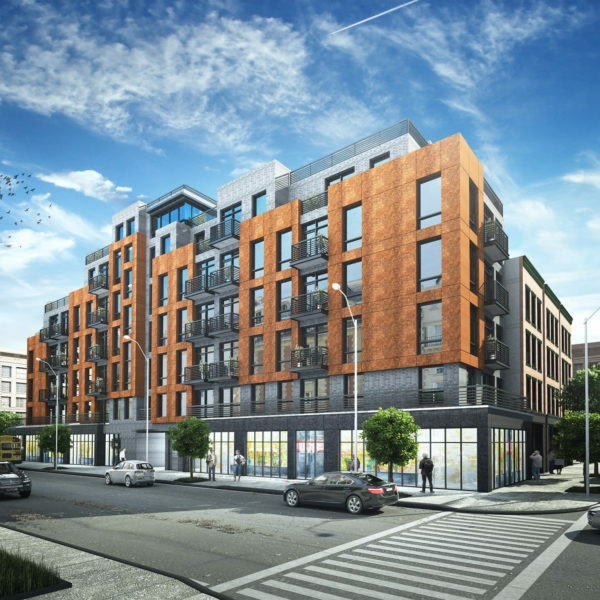 The Tompkins Ave development is composed of 6 stories, housing 44 residential units and various community facilities. A prominent feature of the project is in the large atrium space which extends to transition gracefully from inside out. The buildings uneven checkerboard design works to both break up the scale as well introducing a playful interplay between the reflections of the surrounding buildings in the glass and the warm glow of the wooden panels. 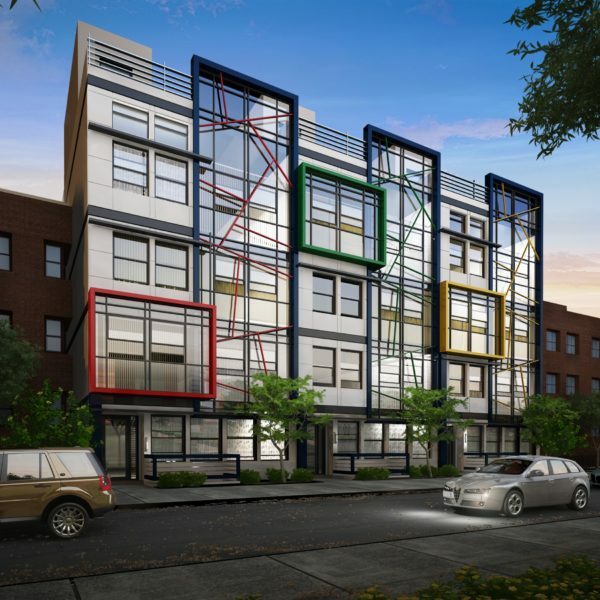 This 8-story apartment building features striking colors and bold geometric volumes suited to the styles and aesthetics of the local North-Williamsburg community. 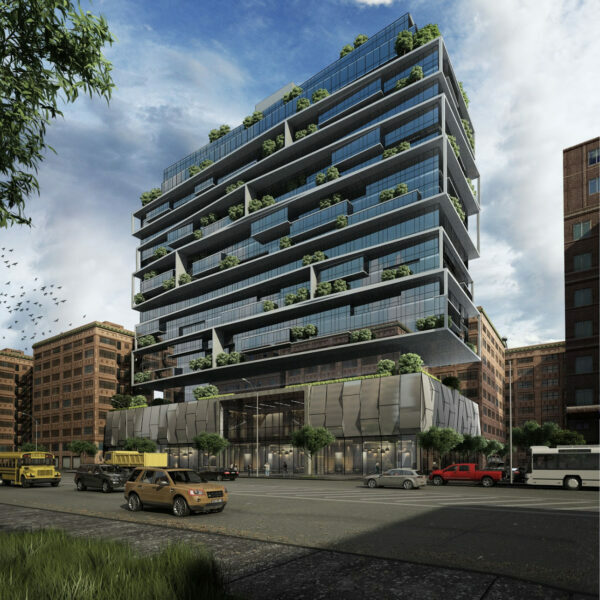 The building stands out as a neighborhood design icon visible from the nearby Brooklyn-Queens Expressway. 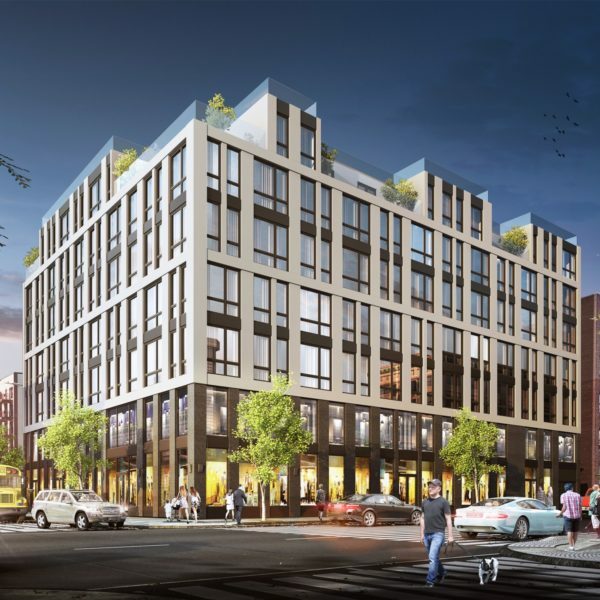 A new 5-story commercial / community facility building located in Prospect Lefferts Gardens neighborhood in Brooklyn near the historic Prospect Park. To keep with the context of the neighboring one-story buildings, there is a deep set-back above the second floor and again at the fourth floor to create the illusion of a smaller building as passerbys walk along the sidewalk. The setbacks create additional, usable exterior space that can be used by the tenants. The approximately 44,800 gross square foot building also includes two levels of parking. 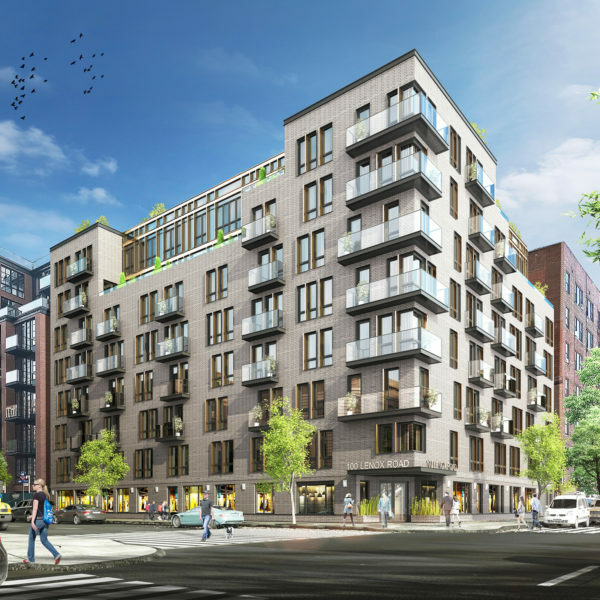 A combination of commercial and residential spaces this 9-story mixed use building bring approximately 45 new apartments to the area. Its blend of raw materials, brick and metal, coupled with its composition brings forth a rectilinear structure to the design. This grid base of the project is broken by the introduction of staggered balconies conveying a subtle dynamism in the project. 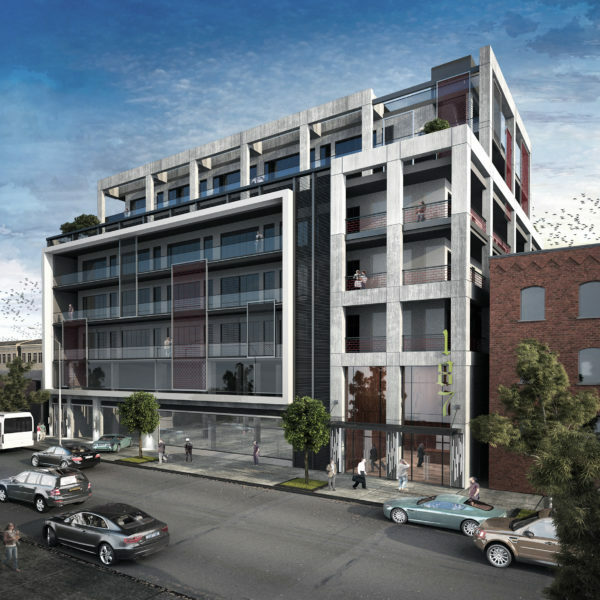 A new 5 story + Cellar mixed used building with a total gross area of approx. 30,000 SF, based on the current R6 (Quality Housing) zoning district which permits a max FAR of 2.20 for residential and max FAR of 1.0 for commercial. 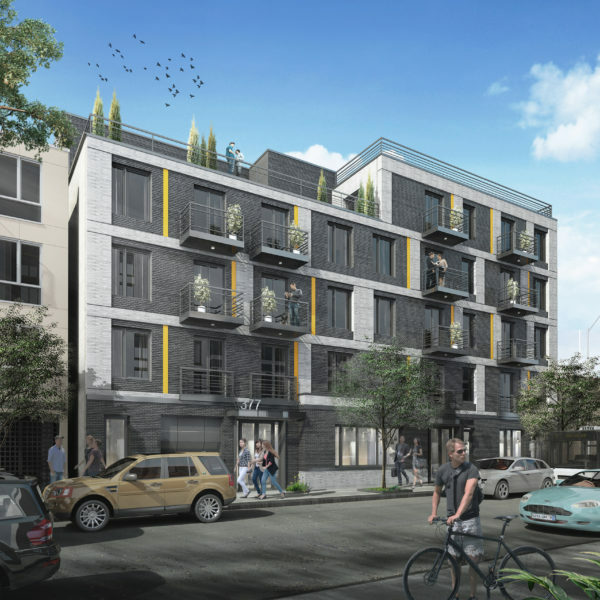 The building houses 32 residential dwelling units and accessory spaces that include bicycle parking in the cellar, automobile parking in the rear yard and a recreational space on the 1st floor. 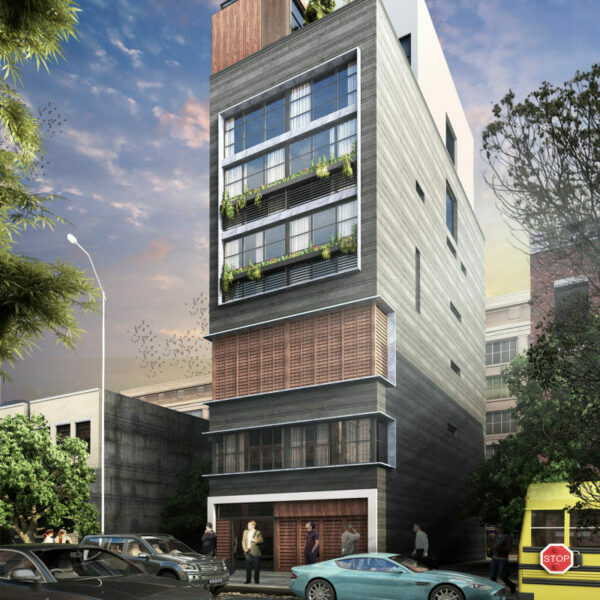 A new 7 story residential building with a total gross area of approx. 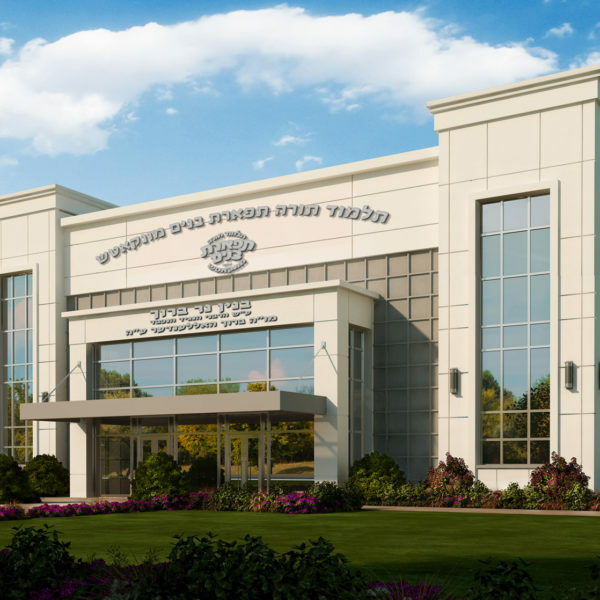 42,900 SF, based on the current R7-1 zoning district. 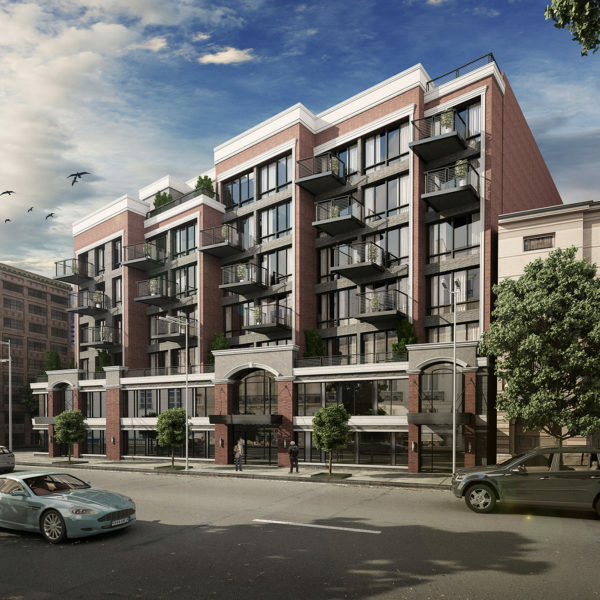 The building will house 39 residential dwelling units on the 2nd through 7th floors with terraces provided on the 2nd and 7th floors. 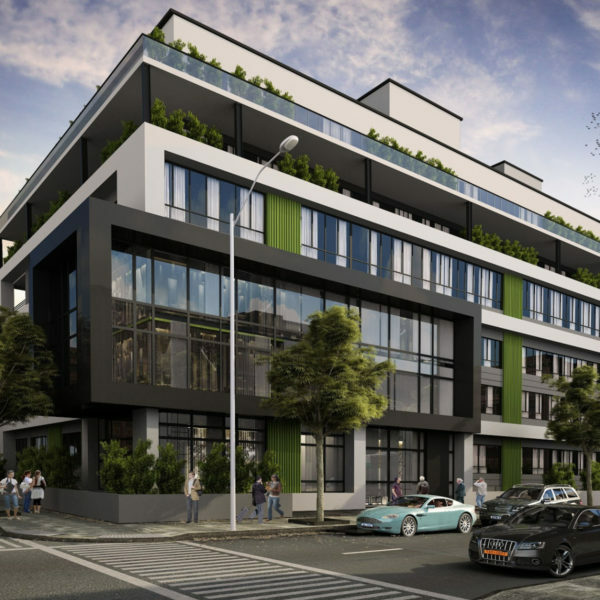 This building will also include a community facility on the 1st floor with automobile and bicycle parking on the 1st and cellar levels respectively. 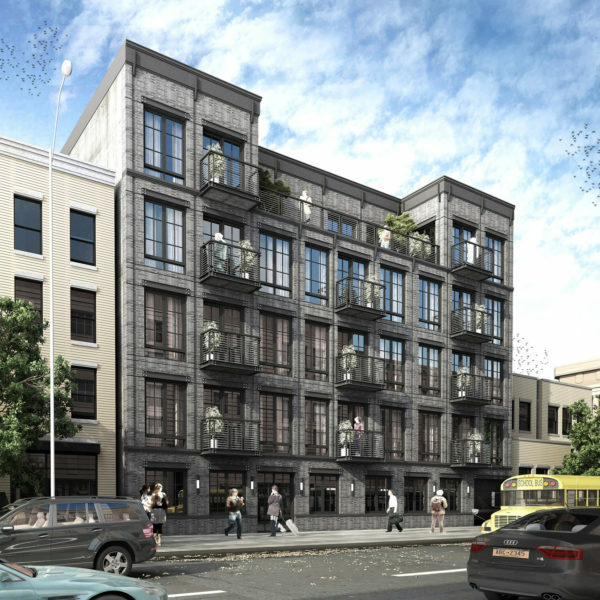 A new 5 story + Cellar residential building with a total gross area of approx. 31,000 SF, based on ZR 23-15 R6 for quality housing buildings which permits a net FAR of 2.2. 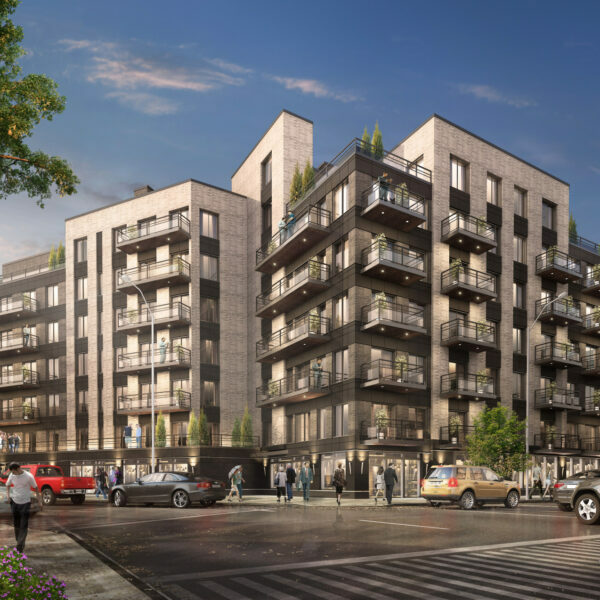 The building will house 31 residential dwelling units on the 1st through 5th floors + accessory spaces, bicycle parking at the Cellar and recreational space at the 5th floor. 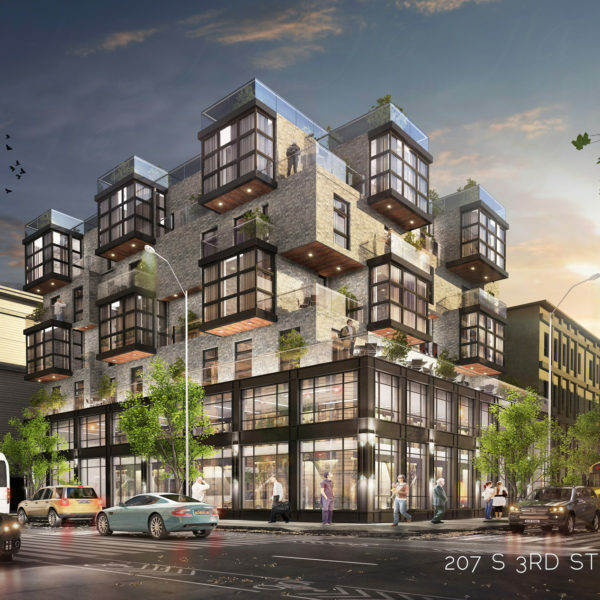 A new 5 story mixed-use residential building with commercial retail space at the first floor and 29 dwelling units. The building has a proposed total gross area of approx.37,600 SF and is based on C4-5D zoning district. 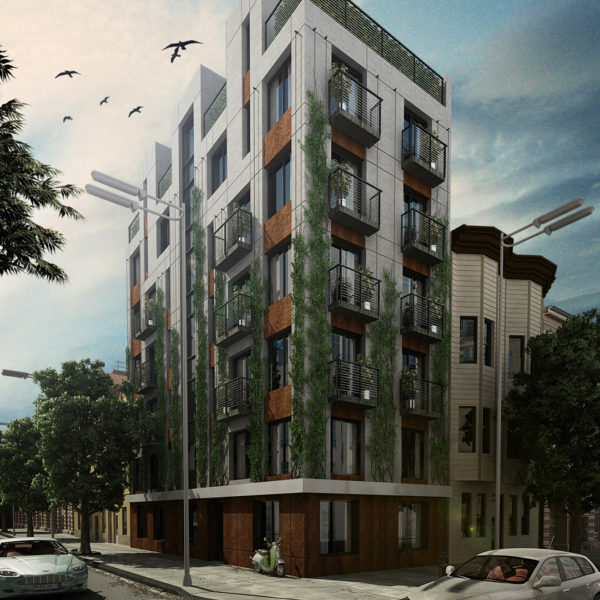 This project is a 6-story residential building located in Bushwick; a rapidly developing section of Brooklyn. 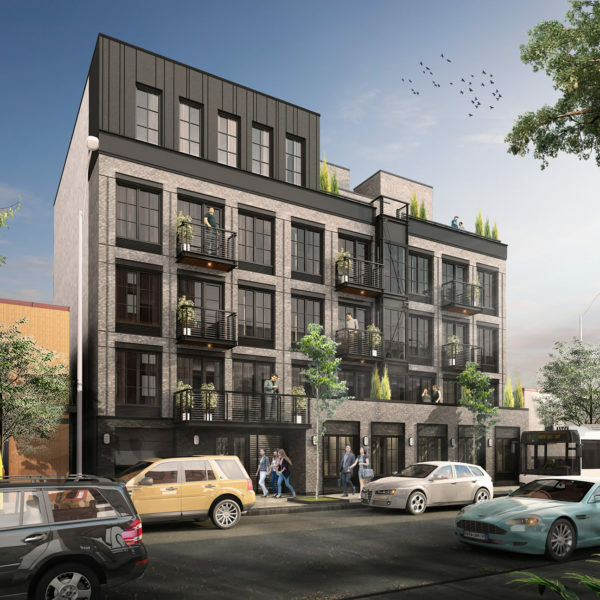 An eclectic mix of artistic and industrial elements, Bushwick is a prime location for this project, which will consist of 10 new apartments. The building’s facade is a collage of raw materials and textures woven together to reflect and celebrate various facets of its industrial surrounds. The Corten steel introduces an immediate warmth juxtaposed against the stark concrete base, both capturing the essence of the area and working to marry the aesthetic mix of industrial and residential. The New Utrecht development comprises residential and commercial spaces, as well as community facilities. The facade emerges as a celebration of this complexity; composed of overlaying grids, all varying in scale and material. 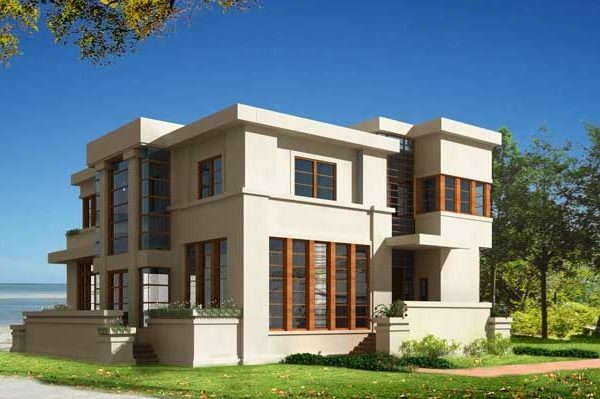 Located in Sea Gate, a beachside community on the south-western tip of Brooklyn, this single-family residential project strives to bring an element of simplicity and elegance, in turn creating a sense of harmony with the natural surrounds. Composed of wood and poured concrete the design plays with complexity through a series of geometric forms, varying in size, protruding through the overall box of the house. 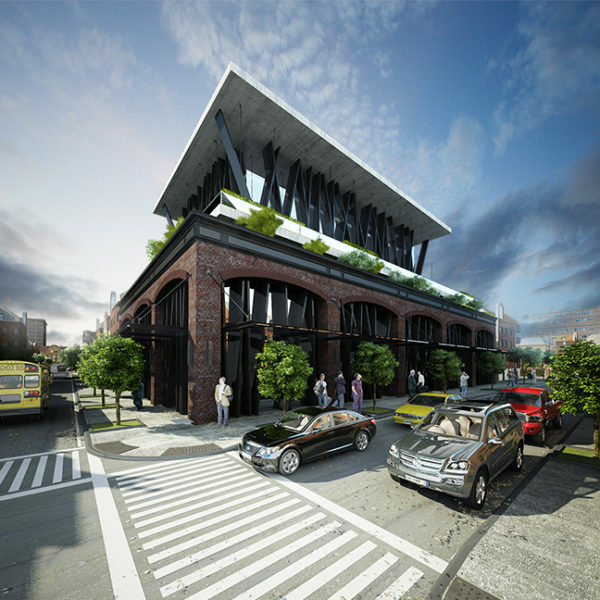 A 3 story building located in South Williamsburg, Brooklyn. The building includes 8 pools, more than 100 bathing rooms, & concrete rainwater collectors on the roof. A new community center. 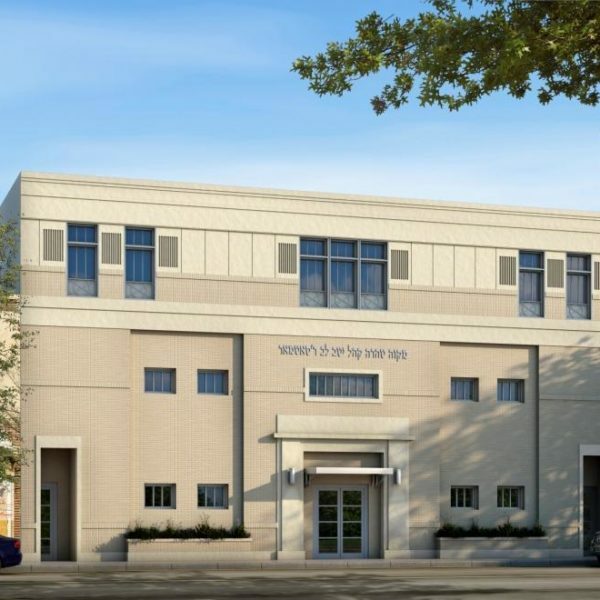 The building, located in Boro Park, Brooklyn -includes 2 exercise centers, a basketball court, 2 community ballrooms, an Olympic-sized pool, and a 6-story naturally illuminated central atrium.